Call or Text us at 801-214-1351 for a Free Quote! National polls have shown that over 80% of guests say the thing they remember most about a wedding is the entertainment, 72% of all brides and grooms say they would have spent more time choosing their event entertainment, and almost 100% say they would have spent more of their budget on the entertainment! At All-Star Events we specialize in offering Top-Notch DJ & PhotoBooth services at prices that won't break the bank. While each of our events are unique, we have one All-Inclusive Package in order to make our booking process as easy and stress-free as possible. Call or text us at 801-214-1351 or submit an inquiry to confirm your dates availability or with any questions you may have. 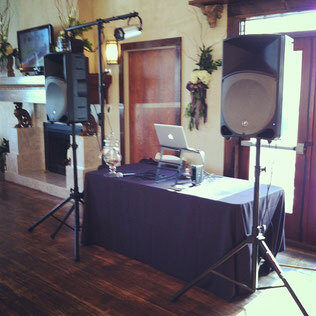 - Up to 2 Hours of Professional DJ Services with Dance Lighting. Additional playtime can be added for $100/hour or $50/half hour. CLICK HERE to Reserve Your Date! Events outside of Salt Lake and Utah counties may be subject to a destination fee to help cover the DJ’s travel time and expenses. Contact us for more info or to get an exact quote for your location.